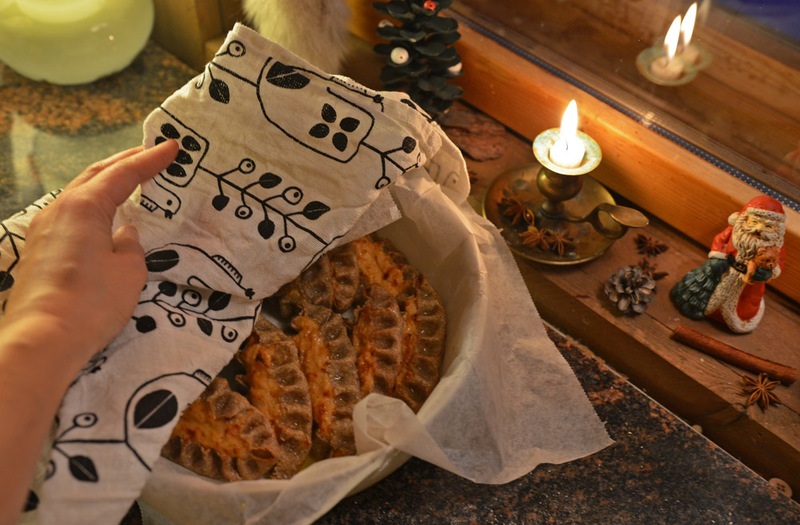 Let me get one thing straight right here in the beginning – famous (and super delicious) Finnish Karelian pies are not hard to make. They may look like they are but actually, they aren’t. Making them requires just a little time. 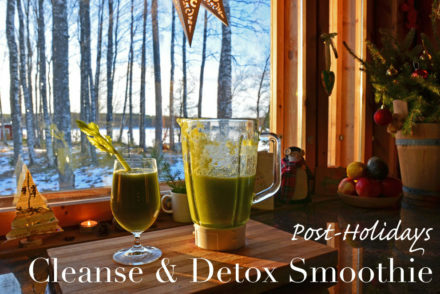 Here are the recipe and step-by-step photo instructions how to make these salty delicacies that are an integral part of everyday life here in Saimaa and Finland. 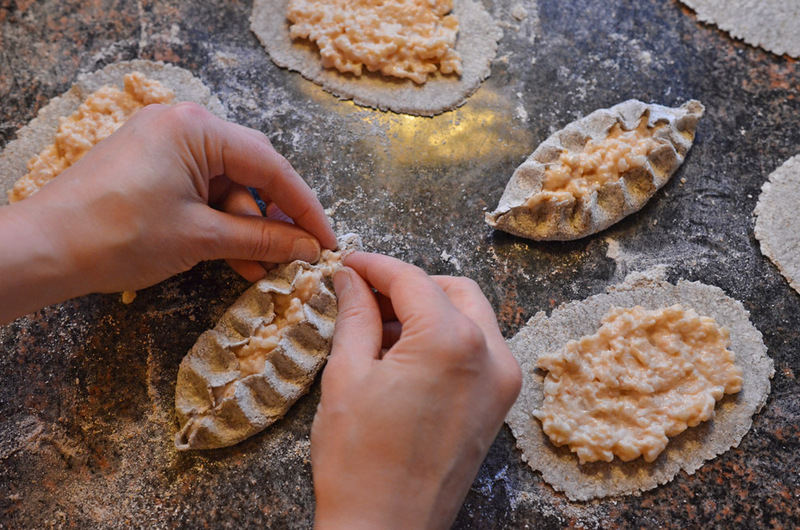 There are two things in Karelian pies; rice porridge and rye crust. Ingredients for both of them are very simple. Ok, rye flour you can’t find every grocery outside Finland but what I’ve heard special stores sell them in many countries. 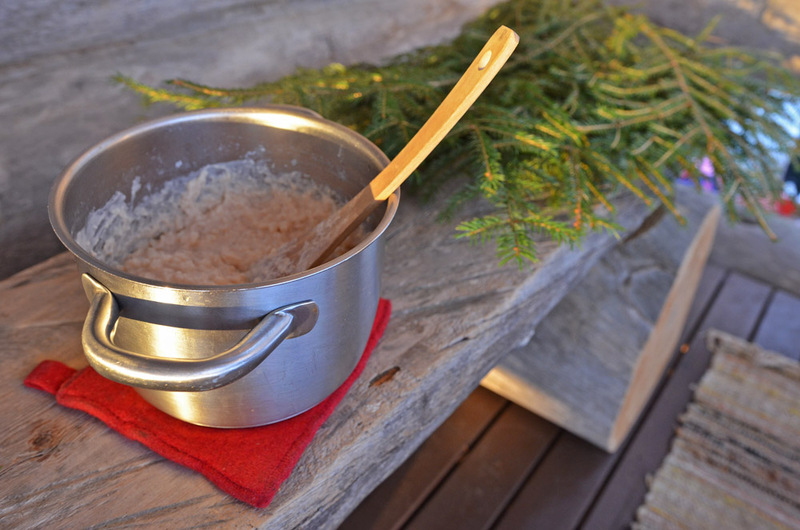 Rice for the rice porridge in Finland is called “Puuroriisi”. You can ask that but short-grain rice, like Arborio or Calrose, works fine too. This recipe is for 25-30 Karelian pies. 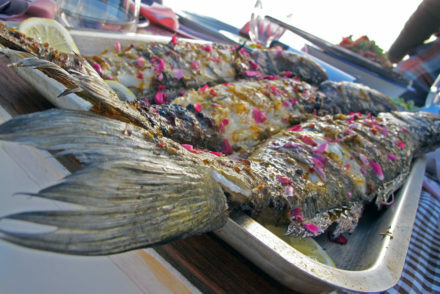 Consider halving the recipe if you are first-timer. 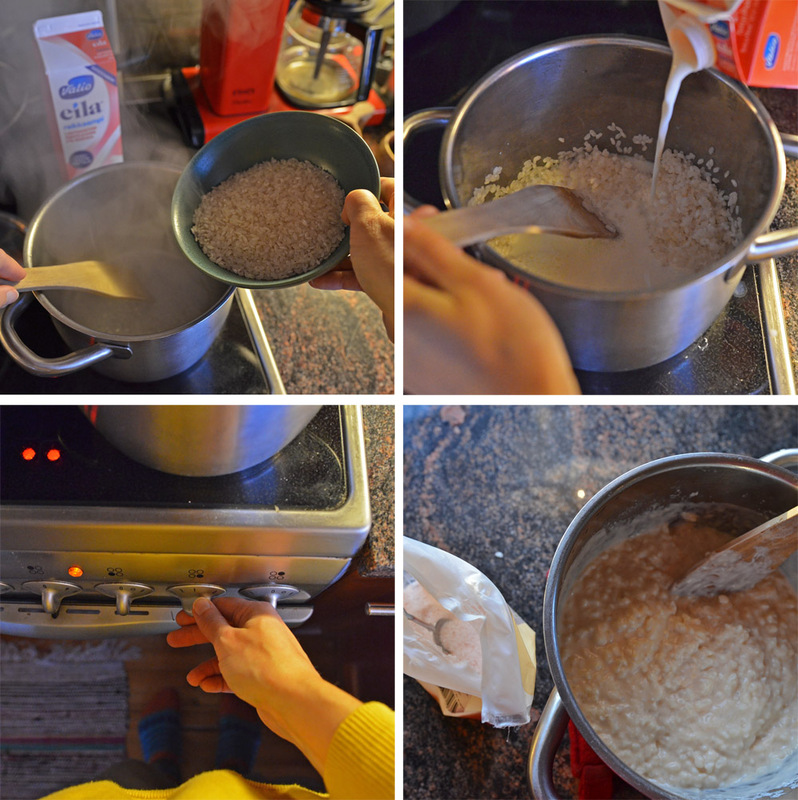 Start by making the filling, rice porridge, ready. I often make it a day before baking because the porridge needs to be cold when you put it in the pies. Bring water to a boil in a kettle. (Add some butter if your milk is not very fatty. The fattier the better you know.) Add the rice and cook until the water is absorbed. Add milk and bring to a boil whilst frequently stirring. Simmer at a low heat for about an hour (time depends on the rice you use of course). Season the rice porridge with salt. 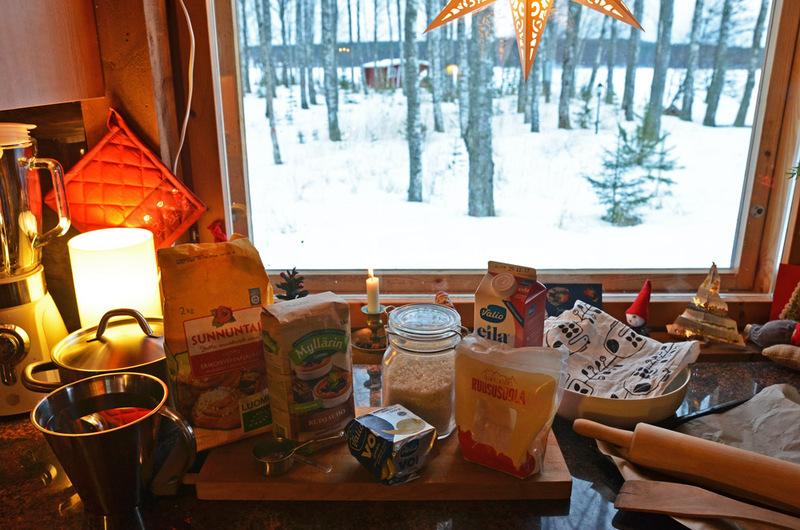 Then it’s time to make the dough for the Karelian pies. This can’t be easier! 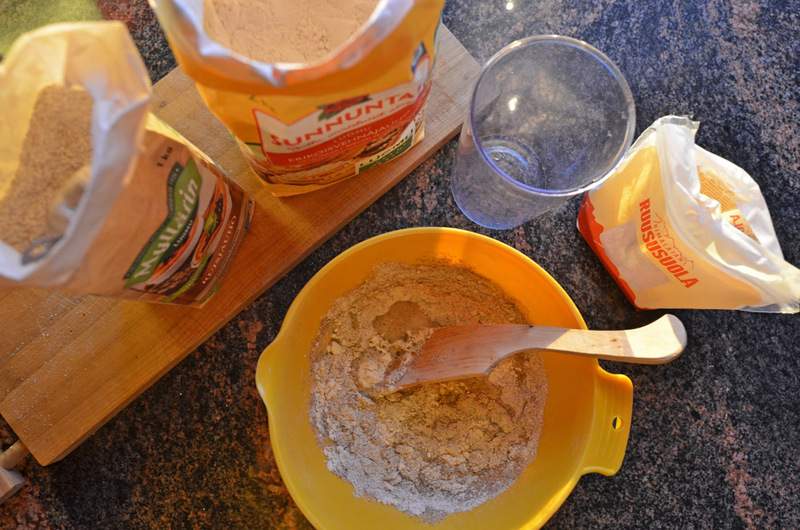 Just stir the flours and salt into water and knead into a solid dough. Now you have the filling and the dough ready. Here comes the trickiest part. I will show you the technique how to “rypyttää” (crinkle) Karelian pies but remember that it’s OK that we all have our own unique style. 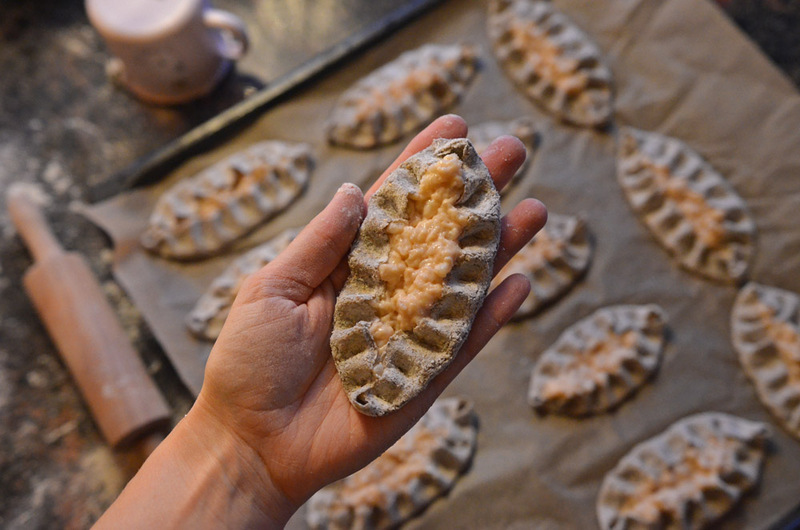 So, instead of focusing on how your pies look different than mine, focus on being proud how Karelian pies made by YOU look like! In Finland, we have also a proverb for this. It says that Karelian pies are always “lookalike with their maker”. But here are first the step-by-step photo instructions. The most important thing is the position of the fingers and that you don’t close the Karelian pie by pushing too hard. Note! With a rolling pin flatten half of the dough on a well-floured baking board. Rye/wheat flour mixture (50/50) is good for that. It is a matter of taste how thin you roll the crust. Some like to have thin crust and a lot of porridge inside. Others, like me, vice versa. If you are first-timer, make different and taste which ones you think are the best. 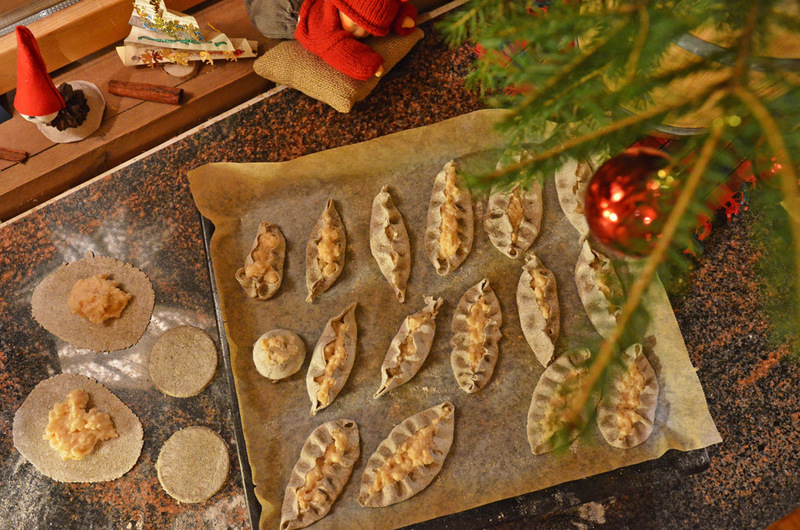 Here, above, is my style and below you see our Karelian pies made by our children. 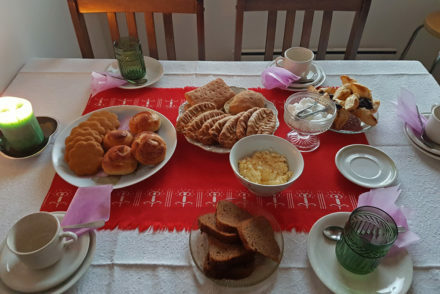 My favorite one was the Karelian pie muffin that our youngest one innovated! Place the pies onto a baking tray covered with baking paper. 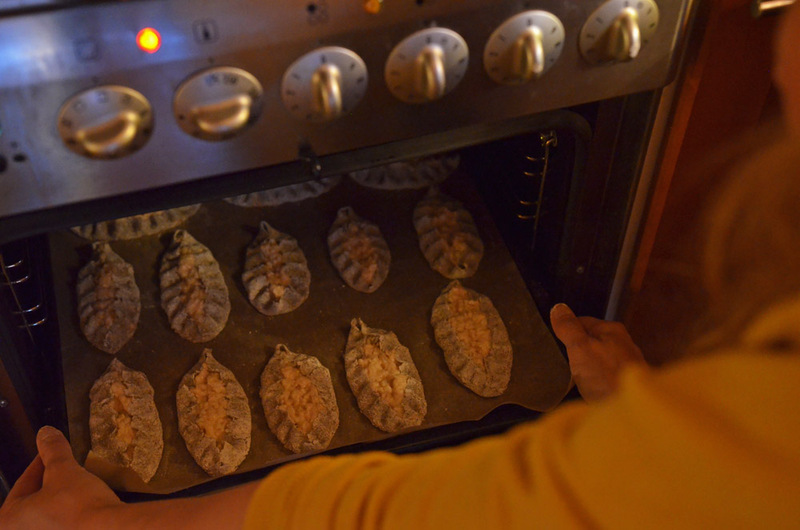 Bake the Karelian pies at 275°C for 10 – 15 minutes, until the porridge is golden brown. When the pies are removed from the oven, brush them with melted butter or a butter and water / milk mixture. I use normally 50 % butter and 50 % water. If I have just a small amount of pies I do buttering with a brush, and if a big amount, then in a pan. After buttering, cover the pies with baking paper and a kitchen towel to soften. Of course, you have to taste one (or two) right after buttering. Boil the eggs in water for at least 8 minutes. Rinse the boiled eggs under cold water and remove their shells. Use a fork to mash the eggs finely together with the soft butter, in a mixing bowl. Add some salt if needed. For the best experience, please watch this 360° video in Youtube app with virtual reality headset and remember to turn on HD! Tap on Youtube icon in the player below or open this link https://youtu.be/V3l5myZF-uc in your Youtube app. As I said Karelian pies are an integral part of Finnish culture. That’s why I decided that in the future I actually tell you more about “the world of Karelian pies”. So, stay tuned! Have You Heard the Sound of a Christmas Tree?